needs of Washtenaw County for over 100 years. Local 190 believes that training is the foundation on which any organization is based. We are not only involved with our program but our members also sit on various State Vocational committees. We hope you will find valuable information on these pages and we encourage you to use the “contact us button” to send us your feedback on items you would like to see included in the future. Thank you. Select a search field of Contractors that will provide the services you require. 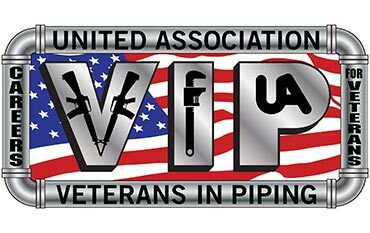 Find professional members that are highly trained craftsmen who fabricate, install and service piping systems projects. Please log in to access the Members Only sections. If you do not have a UA Card Number please contact the UA Local 190 Union Office and they will provide you with your temporary password. The professionals of U.A. Local 190 - Plumbers, Pipefitters, Service Technicians and Gas Distribution workers - have been serving the residential and business needs of Washtenaw County for over 115 years. We also install natural gas distribution pipelines throughout Michigan and Ohio. Growing from an initial group of 15 members, U.A. Local 190 now has over 1,500 members and is affiliated with the international United Association and its 250,000 members. Build, repair and service plumbing systems from residential installations to clean piping systems in high-tech plants. Build, repair and service key systems in energy and fuel generating and processing facilities. Install, repair and service residential and business refrigeration and HVAC systems, including installation and calibration of electronic and fiber-optic controls, air and water balance, water chillers and compressor rebuilds. Design, build, install and service high-purity process piping for high-tech facilities. Install pipeline systems, including pumps and other installations. Install, repair and service medical piping systems for hospitals and other health care facilities. Operate a certified training program for Residential, Building Trades and Service Technicians. We urge everyone to buy American and look for the union label! H2H Helmets to Hardhats is a national, nonprofit program that connects National Guard, Reserve, retired and transitioning active-duty military service members. UA VIP Military and government officials support UA VIP for workforce development. Paid for entirely by the UA and its industry partners at NO cost to participants. UCS Union Communication Services was founded in 1981 by David Prosten, a former publications and public relations director and staffer for several national unions. Rock The Vote Rock the Vote's mission is to engage and build political power for young people in our country. Rock The Vote is a non-profit and non-partisan organization.